Mild weather blue pant and shirt set for dolls sized 15"-15 3/4". 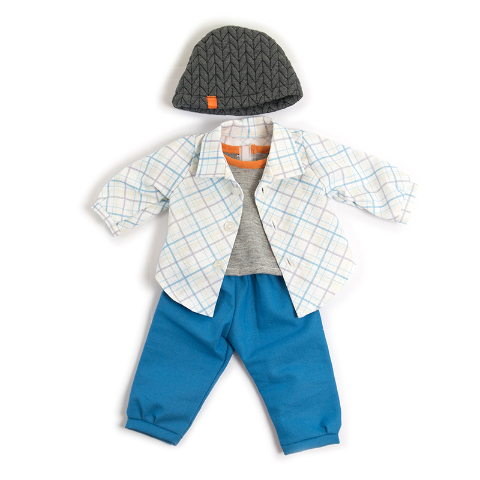 Includes beanie hat, undershirt, buttoned shirt and pants so children can practice dressing skills. Designed to help children meet their needs of self-awareness and personal autonomy.